Tamworth council, Staffordshire; postponed from 3rd May due to the death of Sarah Walters, who had been nominated as the Green Party candidate. For an unusual Friday poll we are in the Staffordshire town of Tamworth. Tamworth is not a New Town but in many respects it resembles one: the town has expanded greatly since the 1960s, and one of the first areas to be developed was what’s now Glascote ward in the east of the town. This is Tamworth’s most deprived ward, and in 2011 it made the top 15 wards in England and Wales for adults with Level 1 qualifications (1-4 GCSE passes or equivalent). Social renting is high and working-class socioeconomic groups are strongly represented. Another way Tamworth resembles a New Town is that it has volatile voting patterns – and, being in the Midlands, it is strongly trending towards the political right. 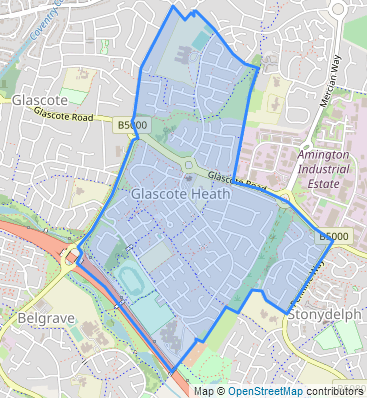 Labour are still generally in the ascendancy in Glascote ward but haven’t had it all their own way: the Conservatives won here in 2008 and came within 30 votes of Labour in 2015. A more potent threat to Labour comes from councillor Chris Cooke, who held a seat here as an independent councillor from 2003 to 2015; he stood down that year but returned to the council in 2016, winning Glascote ward with the UKIP nomination. Shares of the vote in 2016 were 37% for UKIP, 31% for Labour and 27% for the Conservatives. Omens since 2016 look good for the Conservatives. 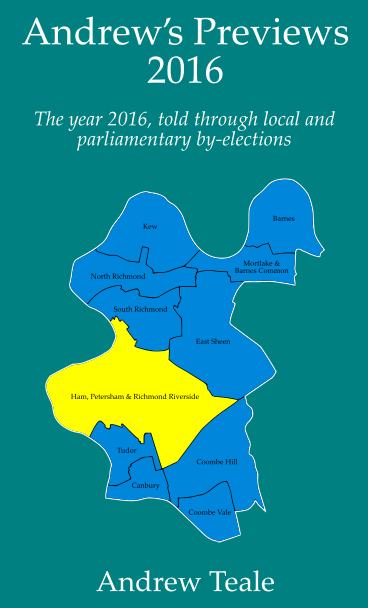 They won both of the county divisions covering this ward in the 2017 county elections, gaining Amington division from Labour (by 15 votes) and Stonydelph division from Cooke who didn’t seek re-election. The Tamworth constituency swung to the Conservatives in June 2017, and earlier this month in the Tamworth borough elections the Tories won eight of the nine Tamworth wards up for election, making a net gain of two seats. This delayed poll will complete Tamworth’s 2018 borough elections by pitting two outgoing councillors against each other. Hoping that Glascote’s voters are people who need Peaple is the defending Labour candidate Simon Peaple, who is seeking re-election for a fourth term of office; he was first elected in 2006 and was leader of the council’s Labour group going into May’s elections. Also seeking re-election is Conservative councillor Allan Lunn, who has represented the town’s Castle ward since 2010 but is trying his luck here this time. The UKIP candidate is Dennis Box, who was runner-up in Bolehall ward in the 2016 borough elections. Completing the ballot paper is the replacement Green candidate, Kevin Jones.